The "Vacation" isn't over just yet. The Chevy Chase franchise, previously under the "National Lampoon" banner, will be revived at New Line with a new generation of stars, according to Variety. The reboot will reportedly be penned by Jonathan Goldstein and former "Freaks and Geeks" star John Francis Daley, and will focus on franchise character Rusty Griswold, all grown up and heading out on a road trip of his own to Wally World. The trade mag reported that Chevy, who reprised his role as Clark Griswold in a HomeAway.com Super Bowl ad earlier this month alongside fellow franchise star Beverly D'Angelo, is not currently attached to the new film. 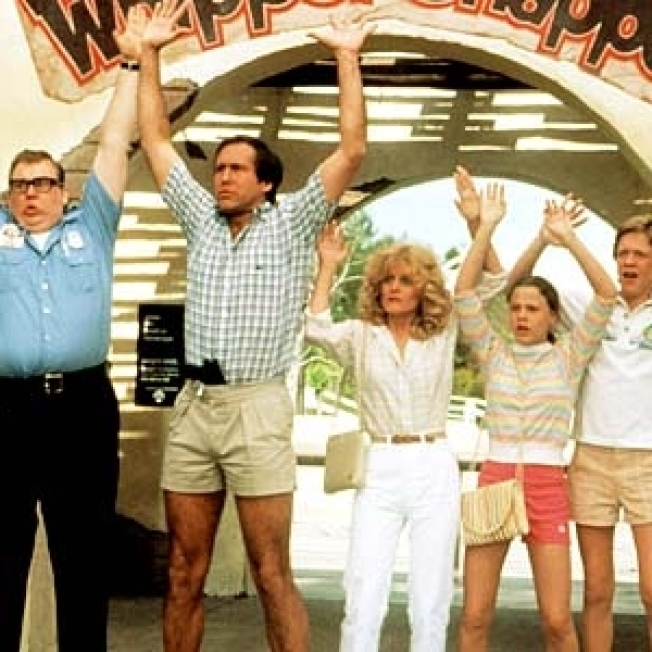 The original series included 1983's "National Lampoon's Vacation," directed by Harold Ramis and written by John Hughes, as well as "European Vacation," "Christmas Vacation" and "Vegas Vacation," as well as made-for-TV movie "Christmas Vacation 2" (which did not include series stars Chevy and Beverly). And "Vacation" isn't the only '80s hit that's being freshened up. Also according to Variety, a new take on the 1982 musical "The Best Little Whorehouse In Texas" is in development at Universal, with a script by "The Ugly Truth" and "Legally Blonde" writers Karen McCullah Lutz and Kirsten Smith. As with "Vacation," it's unknown if the original's biggest star – "Whorehouse" madame Dolly Parton – will appear in the reboot.